“From where you get your proteins?” – this is one of the most common questions that vegans face every now and then. It’s high time that we throw some light on this much-debated subject. Despite popular notions, vegans actually have many options to keep their protein consumption in check. Here are a few plant-based options that vegans go for. All the dal-lovers in the house, rejoice! Lentils are the best sources of proteins, they add up to 10 grams of protein to your meal for every half cup and they have the fiber content as well. So, feast on that dal fry, dal makhani, and Katti dal. This world is an oyster for vegans too! Tofu is not as sad as people perceive it to be. If you make it the right way, there couldn’t be anything as delicious as a tofu scramble or baked tofu sandwich. And, this ingredient can be used in everything from breakfast entrée to desserts and is being enjoyed by vegans and non-vegans alike. Another interesting trait of tofu is that it can be flavoured, however you want you want. So, tofu has the ability to please everybody! It’s true that people have this love-hate relationship with soy. But, here is the thing – soy, when bought organic, can be very good for one’s health. 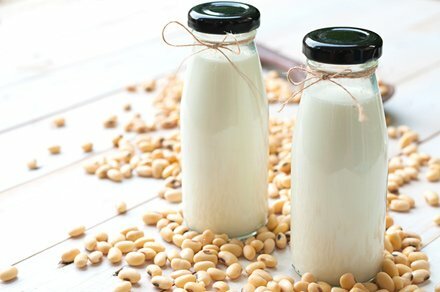 Just avoid highly processed soy (non-GMO soy is what you should opt for) and you are all set to consume the protein goodness that soy offers. Soy is extremely good for your heart and there are delicious ways to use this super food. Vegans’ diet works the Popeye-way when it comes to protein consumption. Spinach is something you could swear by as a protein source. Spinach is one of the most nutrient dense greens available out there. A bowl of spinach a day keeps the deficiencies away! So, to all the meat-eaters out there who always wonder about vegans’ protein sources – this is how we say yes to the plant power!